"... So, it's been about 20 days on and I really love this product. I have been using supplements for some time so my body is used to creatine to say the least. That is why I jumped to the 2 capsule serving per day instead of the 1. I take it with my first meat meal of the day, which is usually lunch and it varies from beef, chicken or tuna. But as suggested on the label, I do take it with a meat meal - not really sure the science behind it but I know it works. Things that I have noticed are an increase in recovery, fuller and thicker looking muscles especially front thighs and chest areas and strength up. It's actually up on every single lift which is probably the biggest motivation for me. I will use this for some months to come as long as the gains and progress continue. I probably won't go to 3 capsules per day, so when it stops working I'll take a 4-6 week break and probably start again. All depends on the end results. I'll update you guys when I am done the cycle. 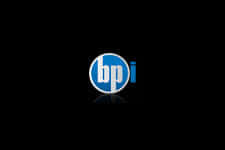 BPi is at it again and taking no prisoners this time with their all new and exciting Creatine Alkaline. Again, this addition is part of their new clinical power series aimed at serious athletes whom want to take it a step beyond the average Joe products on the market today. 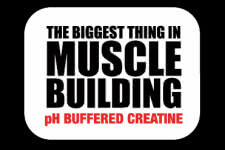 Creatine has been around for many decades successful as a supplement of choice. Over the years, many different variations have come around but nothing really has topped the original, until this. The ability to have a stable, pH buffered variants offers many new benefits without losing the basic ones. One of the great things is that there is no more loading, which can be a pain. 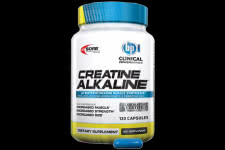 In addition, the creatine is far more soluble which allows for a faster and more complete absorption when used. Listen, if you need a boost with your strength, recovery and new size - this is the product you must add to your arsenal.